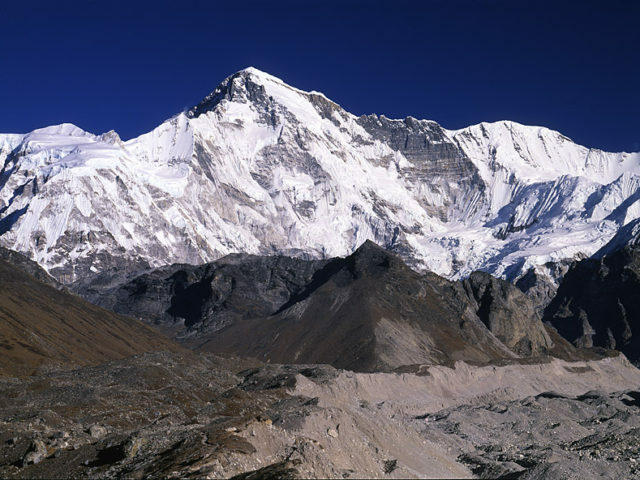 Khan-Tengri climb involves top physical loads and requires altitude climbing experience along with high level of mountain climbing skills. The climbing route technically is very challenging and dangerous, requiring a good amount of self-discipline, coherence, excellent skills in belaying and dealing with a variety of mountain terrain along with very good physical fitness. The itinerary we offer for a Khan Tengri climb with Mountain Guide involves three weeks of carrying 25–30 kg backpacks and camping life in rather uncomfortable conditions, with temperature reaching as low as –40 °C at altitudes above 5,000 m.
And your reward for overcoming all these challenges will be Khan Tegri – the most spectacular of the Tien Shan mountains and one of the world’s most beautiful peaks with its perfectly shaped pyramidal summit. 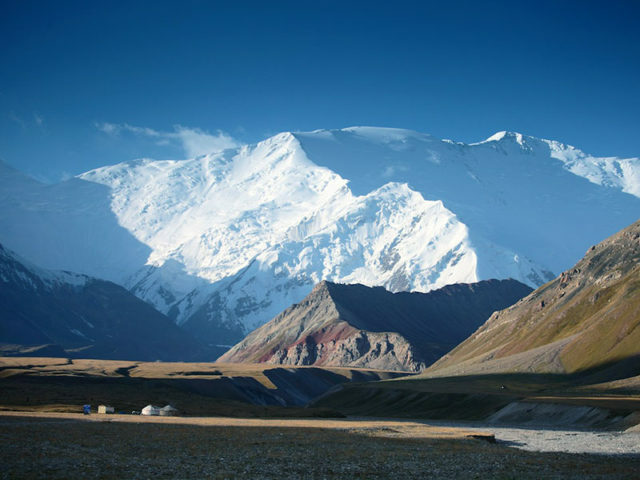 Itinerary for a Khan-Tengri climb. Day 1. Meeting in Bishkek, the capital of Kyrgyzstan, and transfer from the airport to hotel. Day 2. A 460 km ride from Bishkek to camp Karkara at the altitude of 2,500 m, with overnight stay in tents or cottage houses. Day 3. Training and acclimatization hikes to altitudes of up to 4,100 m.
Day 4. Helicopter flight to Base Camp located at the altitude of 4,000 m, on the North Inylchek Glacier – the third longest in the world – stretching 62 km. Overnight stay in tents. Day 5. Of Khan Tengri climb will be spent having rest, acclimatizing and making small hikes around. Day 6. Early morning rise and setting out for a hike to Camp 1 (at 4,200 m), located at confluence of glaciers North Inylchek and Semyonovskij. 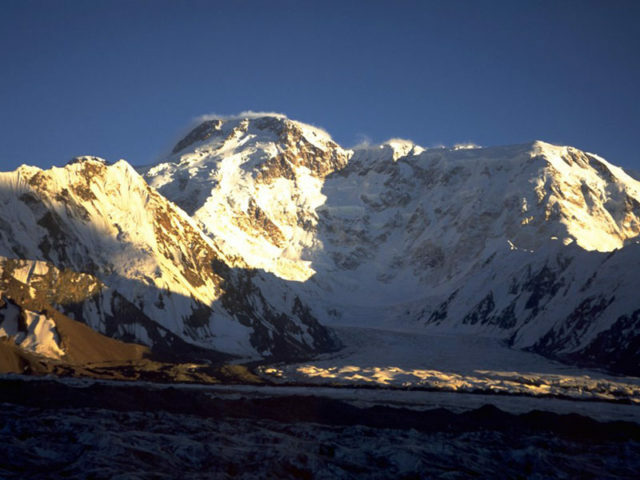 The ascent is pretty dangerous due to high risk of landslides from Chapaev Peak and Khan Tengri. Day 7. Hike to Camp 2 (at 5,300 m) with overnight stay there. Day 8. Hike to camp 3 located at 5, 800 m at a glacial spot connecting Khan Tengri with Chapaev Peak’s shoulder. Descent to Camp 2 for overnight stay. Day 9. Descent to Base camp. Days 10-11. Rest and acclimatization. Day 12. Hike to Camp 1 (4,200 m). Day 13. Hike to Camp 2 (5,300 m). Day 14. Hike to Camp 3 (at 5,800 m). Day 15. 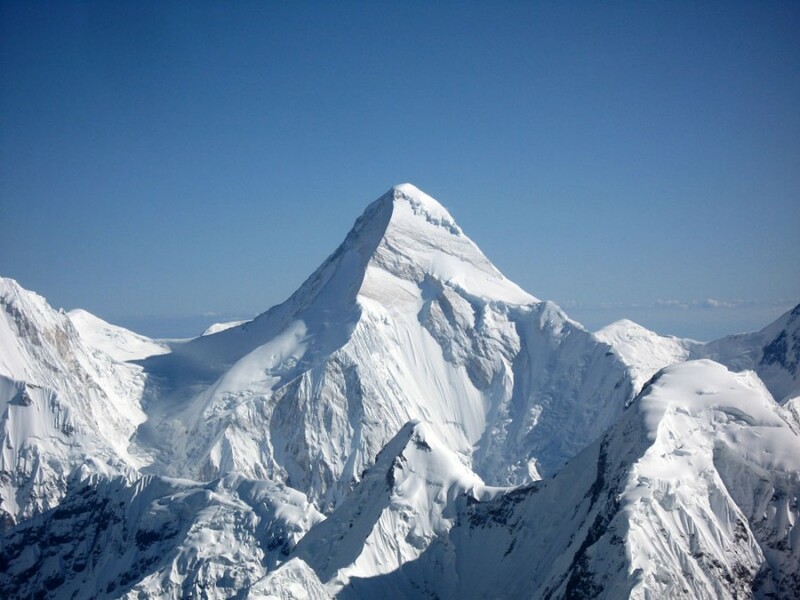 Summiting Khan-Tengri. 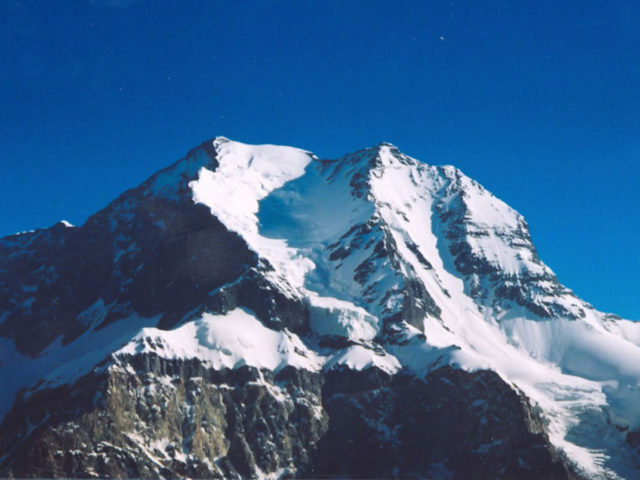 The route from Camp 3 passes through a Col and farther along the right side of West Ridge of Khan Tengri. This part of the route is usually equipped with ropes. The trail is rocky up to the altitude of 6,900 m, followed by a snowy dome that gradually turns into a narrow snowy stripe leading to the summit. After passing the West Ridge, we’ll make a traverse to the right in the direction of the Col. At its entrance, there is a 10-meter high rock wall. Then the trail passes through the Col until it turns to the right again and up to the snowy ridge, passing over rocks, until it reaches a 20-meter high rock wall, and, finally, the summit. Since descent is as challenging as ascent, we won’t spend much time on the summit. On ridges at altitudes of 6,200, 6,400 and 6,700 m there are sports suitable for camping. We will camp at 6,400 m (which is the most suitable one). Day 16. Descent to Base camp. Days 17-18. These days of Khan Tengri climb are reserved for better acclimatization needs or in case of having bad weather. Day 19. Flight back to Karkara. Day 20. Ride to Bishkek. Day 21. Flight back home. Breakfast, lunch and dinner in Base camp and throughout the ascent and descent. Kitchen stuff for BC except for personal cups, spoons and plates.